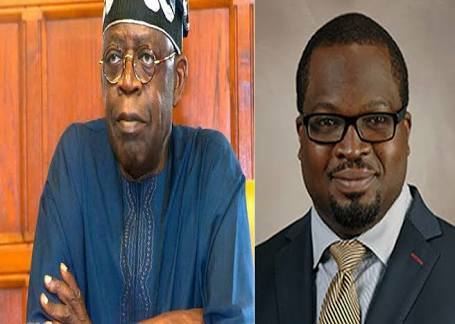 Home / Uncategories / President Buhari, APC Chieftains, Dogara Others Commiserate With APC National Leader Ahmed Bola Tinubu Over Son's Sudden Death. President Buhari, APC Chieftains, Dogara Others Commiserate With APC National Leader Ahmed Bola Tinubu Over Son's Sudden Death. President Buhari, APC Chieftains, Dogara Others Commiserate With Ahmed Bola Tinubu Over Son’Sudden Death. NATIONAL Leader of the All Progressives Congress, APC, Asiwaju Ahmed Bola Tinubu has lost his son, Jide Tinubu. News heard it that Jide died yesterday in Lagos after a brief illness and has been buried at Ikoyi cemetery according to Islamic rites. Ajomale also called on members of the APC to commiserate with the former governor of Lagos State over the loss. Meanwhile, President Muhammadu Buhari, the APC, Speaker of the House of Representatives, Mr Yakubu Dogara; Governor Abiola Ajimobi and pan-Yoruba socio-political organisation, Afenifere have condoled with Tinubu over the death of his son. President Buhari, in a telephone call, yesterday, to Tinubu on behalf of the Federal Government and his family, offered his deepest condolences to the Tinubu family over the loss of Jide. The President, in a statement by his Special Adviser on Media and Publicity, Femi Adesina, described the transition of Jide as “sad and painful”, adding that the nation has been denied the services and potentials of the resourceful lawyer. APC’s National Publicity Secretary, Mallam Bolaji Abdullahi, in a statement said: “It is never easy losing a child or any loved one. Indeed, it is hardest when they are taken from us too soon. Many who met the late Jide Tinubu, who was a lawyer, fondly described him as cerebral, industrious and full of life. “In this moment of grief, the Party offers its sincere condolence and deepest sympathy to His Excellency and other immediate family members over the painful loss. May the outpouring of sympathy and the comfort in knowing that the late Jide’s death is felt by many, help the family through this difficult time.We pray Almighty Allah (SWT) grant the late Jide eternal rest,” the statement added. The Speaker of the House of Representatives said he was shocked to receive the sad news of the sudden death of Deji Tinubu. Dogara said: “The late Deji was a lawyer of high repute who cut his teeth in the maritime sector and was hard-working and enterprising. It is saddening that a father buries his son. I can only imagine your pain and grief at this time. On his part, Governor Ajimobi, in a statement by his Special Adviser, Communication and Strategy, Mr. Yomi Layinka, expressed regrets that the cold hands of death have snatched another promising and ebullient young man. Ajimobi described the sudden death of the APC national leader’s son as not only shocking but unfortunate and disheartening. 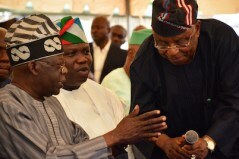 Commiserating with Tinubu, Afenifere’s National Publicity Secretary, Mr Yinka Odumakin said “it is a sad and tragic news. We pray that God will grant the family the fortitude to bear this great loss.” From Indepth Newss our condolences to the Bola Tinubu Family, may his soul rest in perfect peace.